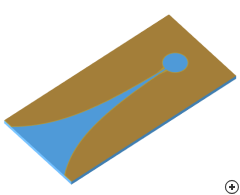 Image of the Microstrip-fed Vivaldi slot antenna. When one compares the new Microstrip-fed Vivaldi with the staple feed Vivaldi which was included in Version 1.3, it has some notable practical advantages. 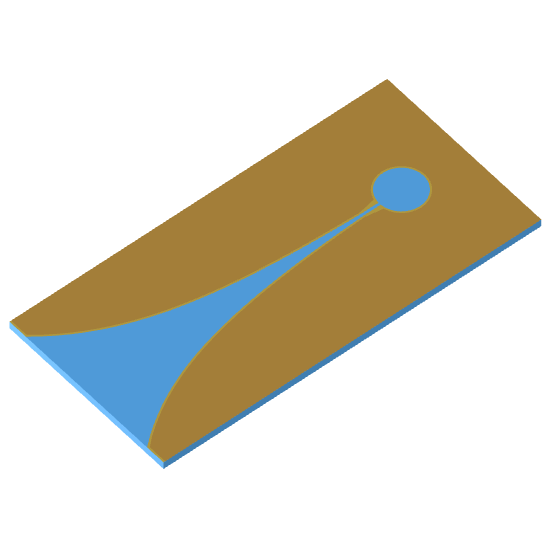 Tapered-slot antennas are often etched with other components onto the same dielectric substrate. 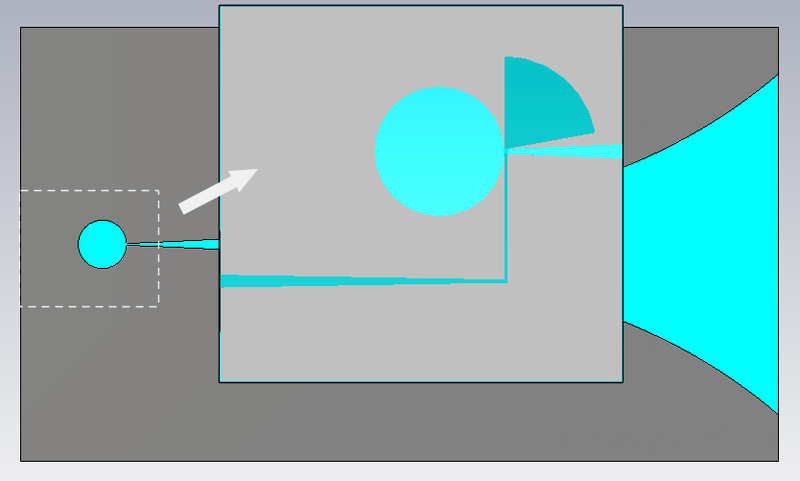 The Microstrip-fed Vivaldi has the advantage that it can easily be integrated in the circuit. This endfire antenna can be designed for a 3:1 performance bandwidth and up to 17 dBi gain. The Microstrip-fed Vivaldi slot with transparent enlarged view showing the feed section detail.